No, this post isn’t about dental work. 🙂 Extraction is a concept used by many landscape photographers when they want to shoot not only the over all scene but also zoom in and “extract” parts of the landscape. Such as a plain with a cabin in the foreground, a wall of trees behind it and some mountains behind them with the sun sneaking up over the horizon. The photographer could extract the glowing mountain ridge, a close up of the cabin, the trees, etc. Extraction is taking a picture from within a picture, so to speak. The same concept applies to Macro photography. Regan did a class at the family centre on making flower arrangements. She did an excellent job and the end product was beautiful! An arrangement like this provides tons of Macro photography opportunities. Using extraction, you eye up the over all “landscape” of the arrangement, and extract photos from within it. Macro lens do especially well at this because of the shallow depth of field and the closeness with which you can focus to the subject. 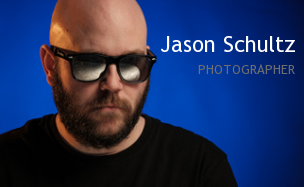 This entry was posted on April 8, 2011 by schultzphotographic. It was filed under Macro and was tagged with 105mm f/2.8 VR, Extraction, Landscape, Macro, Nikon, Photography.